Subhash Chopra is a freelance journalist.- He began his journalistic career at The Indian Express, New Delhi. After about four years on the reporting and editing staff of the Express, he left for Britain where he worked on newspapers up and down the country for about 25 years, including The Times, London, at its business news desk. He also had a year’s spell as Publications Editor, Commonwealth Secretariat, London. In India, besides working for The Indian Express, New Delhi and Madras, he worked as Associate Editor, The National Herald, and Asian News International, the print and television news agency, looking after its scripts for Reuters and other feeds and the print service for newspapers. He has been freelancing since leaving ANI and commutes between New Delhi and London. His publications include a much acclaimed and insightful analysis of Indo British relationship called India and Britannia – an Abiding Affair and a book on Indo-Pak relations, Partition Jihad and Peace. He will be contributing to our archives. It was almost 34 years ago in 1979 when I first met Yoosof and Austin at the Times newspaper in London when I did three or four shifts as a casual sub-editor on the Business news desk. And it was at the Blue Lion pub during our break that we almost immediately struck a common chord — to the utter surprise of many of our colleagues who thought that we two would be at loggerheads with each other because of Yoosof’s Pakistani background and my Indian connection. Instead they were flabbergasted to find us thick as thieves in less than a week. Then came a year- long strike at the Times and our meetings became less frequent as I went back to my work on the Reading newspaper while Yoosof kept working as a freelance in London. But the strike didn’t snap our link; we kept seeing each other for a drink or two or four in some pub or over a curry at his house in Slough where he lived or in Reading where I lived. When the Times reopened in 1980 after the year-long strike I took up a full time job there while Yoosof joined the Financial Times full time. With both of us working in the Fleet Street area our meetings grew more frequent , especially after I moved house from Reading to London. After finishing our work around 11 O’ Clock most nights , once or twice a fortnight we used to drive to my house to continue our drinking and gossip sessions. Some days Yoosof would show his cooking skills by turning out excellent curries like Chicken –do-Piyaza ( chicken and onions cooking in their own juices without adding cupfuls of water which I, the bad cook, used to do) ! 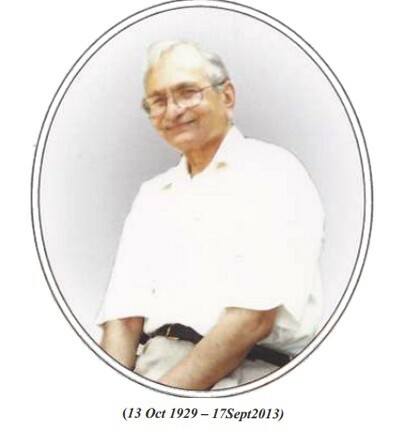 After nearly a decade of happy gatherings, he left the FT with a redundo while I quit The Times to go to India, working there for a few years on the National Herald newspaper and ANI television in New Delhi. Yoosof and his friend Ataa from Leicester, originally from Sialkot in Pakistan, visited me in Delhi after their onward journey from Pakistan. Those were the days when the mobile phones had not yet arrived and I could not get in touch with him the day he left Pakistan for Delhi. But he knew where he could find me in Delhi. Where else except at my drinking hole called the Press Club of India. Sure enough when I finished work around 10 in the evening at ANI TV and reached the club I found Yoosof and Ataa sitting there and enjoying their tipple. After their first night at an hotel, I brought them to my poky little bedsitter where we all three stayed for a week, using a folding bed, a cane settee and one proper single bed. Besides taking city tours and enjoying the winter sunshine of Delhi Yoosof and Ataa also took a train trip to the Taj Mahal in Agra. Around mid-1997 I quit my last full time job in Delhi and started visiting London for four to five months at a stretch during summer every year. So we were back to our old sessions, though on doctor’s orders Yoosof had to cut down his drinks to moderate levels. He had given up smoking much earlier. The passing away of his dear wife Enis hit him hard. Later losing one of his legs inevitably slowed him down but not his spirit. He got himself a specially adapted car and frequently drove to theatre and opera accompanied by family youngsters like his niece Shehnaz . I too accompanied him on a fair few evenings. I especially remember one such evening in London last year when after the theatre evening we almost lost our way to my house in London. He was in the driving seat and thought that he still knew the roads and routes in north London which he once knew over 30 years ago. But changing traffic signs got the better of us that night for the best part of three hours before we finally arrived at my house in Harrow. But All is well that ends well and we calmed ourselves with a couple of drinks and some bite. The point about all this is that he was a man of immense courage and no amount of physical disability could stop him from daily adventure. Even three weeks before the end he was planning to drive , against the doctor’s advice, some fifty miles for a get-together lunch with Austin and myself and another old Times friend Keith Elliot. However, Austin volunteered to drive over 250 miles from Cornwall to Windsor but the date could not be kept as just one day earlier Yoosof had to be hospitalised . Personally, on his very last night I spoke to him on the phone to say that I would visit him the next afternoon. But like that lunch, even the hospital meeting was not to be. Fate may be inevitable but it can’t take away the memories which we will cherish forever and a day. India’s electoral politics never fails to surprise. The current bout ahead of the parliamentary elections is no exception. In fact it is already throwing up a bumper crop of surprises. Stalwarts of old parties when denied election tickets are jumping the ship for new boats and hopefuls of new outfits like Arvind Kejriwal’s Aam Aadmi Party (AAP) are no less quick to shift loyalties if denied party ticket. The final results are as clear as mud while the ruling UPA combine led by the Congress party remains the target of attacks by all and sundry. Who will be the next prime minister or which group will lead the next ruling coalition is a wide open question. Veteran Scheduled Castes leader Ram Vilas Paswan of the Lok Janshakti Party (L J P), who once quit as a minister in the BJP-led NDA coalition government over the role of Gujrat chief minister Narendra Modi in the 2001 pogrom against the Muslim minority in the state, has joined the current BJP-led alliance which is projecting the same Mr Modi as its prime ministerial candidate. He has bid good bye to his secular soulmate fomer Bihar chief minister Lalu Prasad Yadav. Yoga guru Ramdev has done a double shift in less than a week by expressing anger over BJP’s failure to allot party tickets to some of his nominees across the country, especially in Gujrat where Mr Modi is the sole arbiter. He has quickly seen the light and denied any rift with Mr Modi, blaming, as usual, the press for misrepresenting his words. Old war horse and anti-corruption campaigner Anna Hazare, guru of Yoga guru Ramdev, Kejriwal, ex-police officer Kiran Bedi and others, has fallen out with all of his protégés and they with him. Hazare has also fallen out with one of his new admirers, West Bengal’s mercurial chief minister Mamta Banerjee and she with him over lack of supporters and empty chairs at a rally in New Delhi. The BJP, which till a few days ago seemed to be the hot favourite of pollsters and private TV channels, has had its image tarnished by wide open internal splits, though not by many total walkouts. Party president Rajnath Singh who took over Lucknow parliamentary ticket annoyed local veteran leader Lalji Tandon so much that Tandon has refused to contest from any other seat offered by the party. So has cricketer turned politician and sitting MP Navjot Singh Siddhu whose ticket has been taken over by federal leader and outsider Arun Jaitley. But the arc light which overshadowed mere spotlights has been on Mr Modi’s grab of Varanasi (Benares) seat from the party stalwart and sitting MP Murli Manohar Joshi who has been summarily shunted to fight from Kanpur. More splits can be safely expected between the time of writing and the days ahead in the run-up to the grand 2014 general election festival from April 7 to May 16 to be conducted on nine days while the election machinery moves its forces to different parts of the country during the gaps. Notwithstanding all the confusion, the federal election commission conducted a marathon one-day voter registration drive on March 7 which took its officials and public by surprise—with an overwhelming response. It was a last-ditch exercise to include those left out because of various glitches, especially of internet form filling and non-working telephones. Nearly one million counters across the country operated by men and women worked the miracle. Over 74.5 lakh (7.4 m) potential voters turned out countrywide, including 1.7 lakh in national capital Delhi, more than five times the commission’s expectation of just 30,000 in the national capital. I was one of the lucky ones to file my papers (Form 6), having failed over the net and phones several times earlier. Why did I fail in my previous half dozen attempts to get my voting right restored after a mere change of address? I had only shifted from one flat to another in the same apartment block in the same old locality of New Delhi. Was it just an occasional glitch hitting the net and the telephone services? No. Going by the experience at offices like that of the Delhi Development Authority and others, one may not be far wrong in saying that our brand of e-governance is suffering from an epidemic of glitches. And it is not the fault of technology, nor is it the fault of our stars. The fault , dear Brutus, lies in our selves. Nor is it particular to India alone. Other countries too have faced similar glitches at the start of their experiments with net technology and over-dependence on answer-phone machines. I am reminded of the British experiment which I happened to share not too long ago. They have overcome the problem by putting a human face or voice at the end of the line, in case the customer fails after three or four dialling or clicking options. We can do it too and make a success of our e-governance. Congratulations to the Election Commission for putting men and women on duty instead of solely depending on internet and telephone networks in the run-up to the world’s largest election exercise covering nearly 820 million voters, more than the combined population of European Union and the USA. The two-day 14th summit of the eight member countries of the South Asian Association for Regional Cooperation with Afghanistan as the newest member concluded on April 4 this year in New Delhi on an optimistic, even euphoric, note. Perhaps it had a bit of extra justification than previous summits in view of the decisions to set up a common food bank , a South Asian Development Fund with a definable initial corpus of $300 million and a concrete unilateral Indian step allowing imports from SAARC’s least developed member countries on a zero duty basis without any reciprocity requirement. The summit declaration of the eight participating heads of state or government acknowledged through these and other decisions the urgent need to move from “declaratory to implementation phase.” Whether SAARC’s transition or transformation from a 22-year-old talking shop to a delivery group is actually achieved only the next few months or years (not more than two till the next summit) will tell. On the trade front the eight leaders in their declaration called for the implementation of the SAFTA ( South Asian Free trade Agreement ) “in letter and spirit.” Successful implementation of SAFTA, they recognised, “will catalyse other areas of regional economic cooperation” and to realise its full potential “SAFTA should integrate trade in services” at the earliest. The importance of SAFTA and free flow of trade in the region cannot be overemphasised as one recent World Bank report suggested free trade within the region could easily touch $9 billion mark and unleash huge benefits all round. Unfortunately there remains a stubborn gap between hopes and actions. And no single country can be entirely blamed for it. There are national compulsions, political and economic, which cannot be wished away. Pakistan’s well-known Kashmir-linked refusal to grant MFN (Most Favoured Nation) trading status to India despite India having given that status to Pakistan years ago is just one example. Pakistan’s current inability to sort out its trade links with new SAARC member Afghanistan is again a political reality, hopefully to be resolved sooner than later. Once such a resolution is evolved land trade route to Afghanistan for India and other members could also unleash Afghanistan’s potential as facilitator of SAARC’s trade with Central Asian economies. Bilateral dialogues, such as between Afghanistan President Hamid Karzai and Pakistan Prime Minister Shaukat Aziz or between the latter and Indian Prime Minister Manmohan Singh, will no doubt help iron out differences but till that happens SAFTA and its promise of regional prosperity must remain hostage to politics. Underlining the need for road, air and other physical connectivity within the region is the expansion of people to people contacts which implies liberalised visa regimes across the region. The leaders’ agreement to allow 50 journalists from each country to travel for work to any member country is a welcome step to reduce the trust deficit that exists between some of the members. Much greater movement of ideas, information and media and cultural products is the need of the hour and demand of the people. Working for that objective as part of back channel diplomacy, among others, is the South Asia free media Association or SAFMA whose persistent demand for free movement of journalists, newspapers and television programmes and other products across borders has just won easier visa concession for 50 journalists from each member country. Hopefully this is just a start with much more expected from foreign office diplomats of the region. There is also some movement for a common legal framework for tackling trafficking in drugs, human beings, eventually even terrorism. Spotlight on action for poverty alleviation in the region has evinced welcome unanimity of approach on the issue. Poverty indeed is the common and core issue of the region which has a population of nearly 1.47 billion or a quarter of the world population. The region also has the largest pool of people below the poverty line (BPL), nearly 25 per cent of the total at a conservative guess based on various official estimates which are notoriously non-credible. More than half of the region’s BPL people live in rural areas and are battling literally for subsistence, quite unlike European or American poor who suffer from huge inequalities rather than from lack of two square meals. The death of about 20 pensioners due to intense heat last summer in New York was regretted but attributed by the civic authorities to failure by the pensioners to switch on their air-conditioners – not the lack of equipment for survival! In sharp contrast poverty in South Asia has its own definition and meaning. Lack of micro-credit for people below poverty line is the core issue of the region and unfortunately not enough attention ha been paid to the issue over the last 22 years of the existence of SAARC. Nor is it because of lack of a way out of this darkness. The success of Bangladesh’s Grameen Bank pioneered by Nobel laureate Muhammad Yunus has shown the way out of the morass of poverty. Lot of lip service has been paid to the Yunus model but no concrete reform of the lending system has been undertaken. The old style Western or World Bank commercial lending system must be jettisoned if the poorest of the poor have to be helped. The Yunus model has no place for the compound interest lending system which has often led to suicides or worse – bonded slavery not unknown despite all legal banning. Nor does it demand any collateral. Repayment of a thousand rupee (a little over $20 dollars) loan can never go beyond double the original thousand rupees. And the beauty of this micro credit model is that there are virtually no defaulters. Over 98 per cent of the borrowers honour their debt. Not until the regional leadership can create a Yunus-style micro credit system for the below poverty line people of member countries can SAARC do anything meaningful for its peoples. Perhaps a start can be made with half of the new South Asian Development Fund being reserved for the BPL borrowers who own less than two hectares of land and have no collateral. Spread of such micro credit banking among member countries may sound a tall order. Nothing short will do if SAARC is to show some collective leadership. The immense fund of goodwill between the two lies untapped, especially investment in infrastructure, for lack of initiative by British industry. Partnership, like love, is in the air and the vibes are coming not just from the Indian diaspora known as Non-Resident Indians or NRIs but from the global village. Leaders and delegations from Russia, World Trade Organisation (WTO), European Union and other friends have been enjoying India’s warmth and winter sunshine. Not to be left behind has been the contingent from the old partner, the United Kingdom, both as a member of EU and in its own individual right, and led by no less than Gordon Brown, Chancellor of the Exchequer and prime minister-in-waiting. For Chancellor Brown it was his first visit to the country on which he has been bullish for a long time. As if to underscore the financial partnership theme, he was accompanied by none other than cabinet colleague Alistair Darling, Trade and Industry Secretary, tipped to be Brown’s successor as chancellor when Brown moves into No.10 Downing Street some time this year. Brown’s meeting with Indian Finance Minister P Chidambaram seemed to click instantly with the latter almost hinting at a budgetary move (that may well have to wait quite a while ) to raise foreign share holdings in Indian insurance sector to forty-nine per cent from the current limit of twenty-six per cent. The visiting Trade Secretary, Alistair Darling, on his part assured Indian entrepreneurs that his government was neutral on any takeover of British companies (be it Tata Steel’s takeover of Anglo-Dutch Corus or any other). ‘Any Indian company can come and buy any business in the UK. We need to make sure it becomes a two-way process,’ he said after meeting Indian Commerce Minister Kamal Nath. Good straight talk at a time when India has become the second or third largest investor in Britain and when Indian groups are looking purchase-hungry. Brown and Darling’s visit was underpinned by the arrival of a 150-strong British business delegation, the largest ever, led by Lord Karan Bilimoria, the chairman of Indo-British Partnership Network. An old India hand, he is one of the youngest members of the House of Lords, and a Pravasi Bharti or a Person of Indian Origin Bilimoria is spearheading Indo-British partnership with a special zeal. He is a strong advocate of globalisation, which he believes is inevitable. He believes in adapting to new conditions and cashing in on new opportunities rather that protecting old industries. Citing the example of British shipping, once a pillar of national economy, he said it simply could not be protected. But Britain rightly found new strengths in areas like financial services and tourism. Similarly Bilimoria wants India to further open up its banking, insurance, accountancy and legal sectors instead of protecting them beyond a certain limit. He finds India’s red tape a big disincentive for investment and trade, though he concedes that it has become less severe over the years. However, the Indian perception of globalisation is not quite as rosy. Bluntly put, globalisation is a suspect word among sizeable sections of Indian opinion-makers. The agriculture sector is a prime example where hefty subsidies to their farmers by Europe and America have destroyed any hope for a level playing field for small farmers in India and several other countries. The WTO’s Doha Round is stuck precisely because of that. True there is a lot of red tape in India, yet there is a feeling that the British industry, like the proverbial lady, protests too much. It needs to start grabbing the opportunity India offers or see the prize go to non-English speaking Chinese, Russians and others. India needs investment in infrastructure in areas like hotels and tourism in which Britain has an excellent record. But sadly British industry has shown little interest so far. The goodwill and easy access created by English language has been amply exploited by the Americans but rather frittered away by the British originators of that language legacy. In sharp contrast to the U.S. moves for issuing more visas for highly skilled persons from India, as recently sought by President George Bush, Britain has thought fit to bring in retrospective curbs on employment and settlement opportunities for a mere 30,000 invited immigrants — a minuscule number compared with over 600,000 migrants from Poland and other EU countries. Fortunately there is still some hope that this irritant will blow away as elements in ruling Labour and Tory opposition seem to be united against any retrospective change of rules. The other cloud cast by Britain’s Channel 4 Big Brother television programme-in-the-raw starring India’s Shilpa Shetty and Britain’s Jane Goody will be onsigned to the bin where it rightly belongs — thanks to forthright and timely condemnation by Brown and entire British leadership as well as by ndian opinion leaders. Indo-British partnership is on course. All it needs is a drive to focus on the immense fund of goodwill that lies untapped.